Without an e-commerce platform on your website, you may be missing out on a large number of potential customers. With revenue from online shopping set to increase substantially in the coming years, e-commerce is becoming the way forward for business websites. It’s clear that consumers are becoming more and more comfortable with using their computers, tablets and smartphones to shop on-line. It enables them to browse products and shop in the comfort of their own home, 24/7. Can you afford to miss the boat? Have Internet Agency install an e-commerce function as part of your website and reach out to more customers both here and overseas. Our e-commerce platforms are easy to use and appealing to look at meaning an on-line shop that is neat and professional. It comes complete with a payment system and a fully functional shopping cart. Once your e-commerce platform is up and running, the only thing you have to worry about is responding to orders. Plus, host your website with us and you’re guaranteed 99.9% up-time. 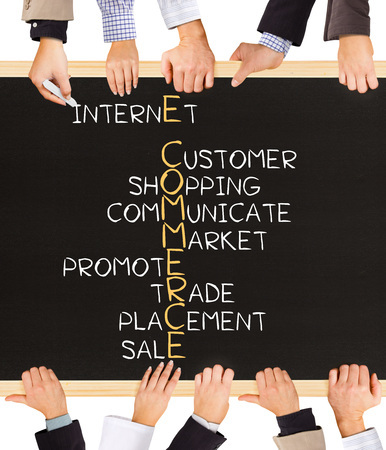 Contact us today for more information on e-commerce functions for your website.